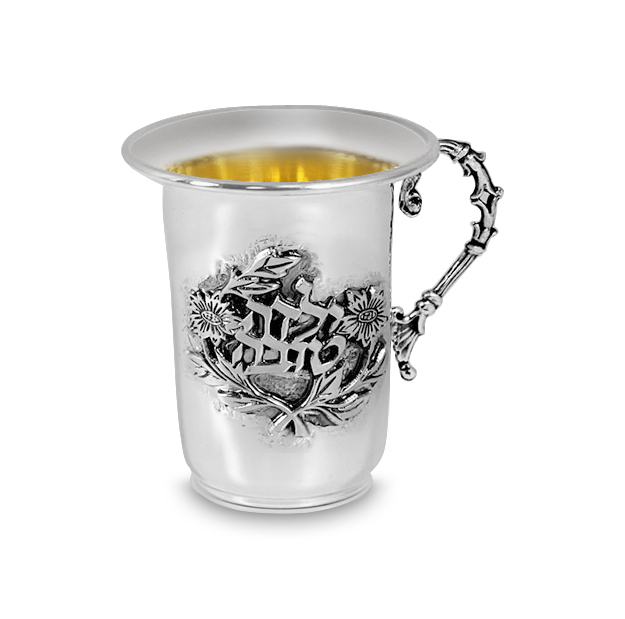 925 Sterling Silver Kiddush Cup with intricately detailed raised design that read "Good Girl" in Hebrew. Hand made in Bet-Yam Israel by Yossi and Sons. The interior is gilded as shown. Height: Cup measures 2 1/4" H.
Lowest Price Guarantee! Best "Good Girl" cup in the market!